Thanks to the education she received in Hawai‘i CC’s Electronics Technology program, Renee Ellorda’s career has taken flight. 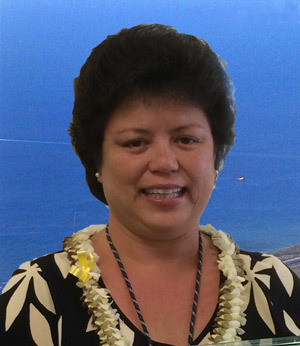 Ellorda is the systems support center manager at the air traffic control tower at the Kona International Airport. She manages a unit of six technicians who maintain the navigation, visual aides, radar and communications equipment for the national air space facilities on the west side of Hawai‘i Island. It’s the critical equipment that air traffic controllers use to communicate with airplanes and pilots and supports the navigational services that both military and commercial pilots use. She said the Electronics Technology program prepared her well and she’s grateful it helped her find a rewarding career. Born in Kona and raised on a coffee farm in Captain Cook, Ellorda said her parents instilled values that helped her succeed. As a girl, she also watched her father transition from being a coffee farmer to a foreman in the construction industry. He did this by going to night school to learn to read blueprints. “Looking back, it was inspiring to see my dad really take care of his family and seek out education of some sort so he could get a better job and support the family,” she said. These family lessons would be important once she entered the Electronics program. She picked the program by chance, but it was fortitude that got her through. Right after graduating with her degree in Electronics, Ellorda began working as an electronics technician for the USGS Hawaiian Volcano Observatory at Hawai‘i Volcanoes National Park. She also entered the Automotive Mechanics program at Hawai‘i CC and earned a second degree while working part time at the observatory. After graduating with her second degree in 1989, she worked in the auto industry, but she realized electronics was her passion. When a technician job with the Federal Aviation Administration opened in Hilo in 1995, she applied and was hired. “I’ve been with them ever since,” she said. She transferred from Hilo to Honolulu where she worked as a technician at the Honolulu International Airport. She climbed the ranks to coordinator and then became manager, in charge of a team of 20 technicians. Three years ago, when an opportunity arose that would allow her return to her roots, she transferred to the position in Kona. 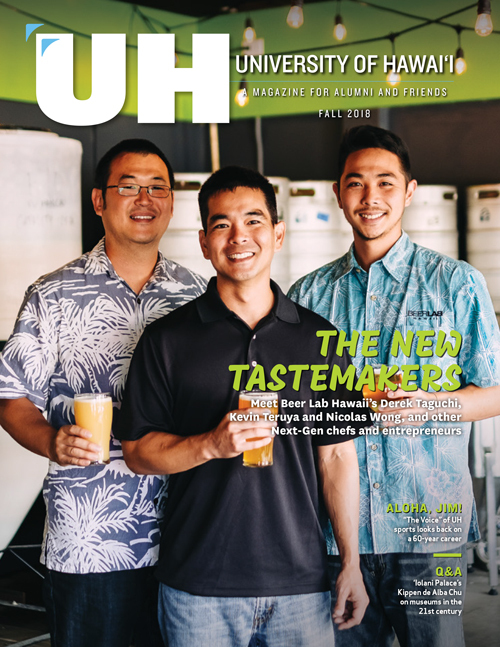 Ellorda believes “higher education is a good thing” and that “everyone should have a trade” and she commended Hawai‘i Community College for its Associate degree programs. The relative affordability of the college is another positive aspect of the college. “I came from a really large family, so I had to put myself through school,” she said. The Electronics program was rigorous but prepared her for when she left college. “The program will give you a strong basic Electronics foundation that will help you pursue a variety of Electronics job opportunities in the future,” she said.